Inflation is one of the most popular and widely-known economic variables. Changes in inflation have a strong impact on a country’s domestic economy, its future prospects and its policymaking decisions, all of which have a bearing on the performance of its currency. The following article provides an overview of what inflation is and how it affects currency markets, along with some practical real-time examples. Inflation, as standard economic theory postulates, refers to the change in the price level of a country. In more detail, inflation is calculated on the basis of a weighted basket of the most commonly bought goods and services in an economy whose price is tracked across time, usually on a monthly basis. The collective basket values are converted into an index, which is usually referred to as the Consumer Price Index (CPI). Given that inflation refers to price changes in the basket of goods, it should not be viewed as a rate of growth specific to one good (or service) but should be interpreted as the average growth of prices in the whole economy. That is, if we observe an inflation rate of, say 3% in Japan, this means that prices have, on average, increased by 3% in the specific month, across all goods and services, compared to last year. As usual, an average suggests that some goods (or services) have increased by more than others and some by much less. For example, it could be the case that the price of oil rises by 10% during a specific month. If this happens, then even if all other constituents are stable, then the sheer magnitude of the change, as well as the fact that oil prices constitute a large part of household spending, the CPI will increase, albeit to a smaller extent. Inflation is usually considered a bad thing, with the reason being that an increase in the monetary value of goods and services would mean that people’s purchasing power would be lower. In simple terms, suppose that to purchase all your basic goods and services you have to pay EUR500. If inflation on this month stands at 10%, then it means that, on average, you would have to spend EUR50 more to obtain the same goods and services. This means that people’s purchasing power has decreased, as it takes more money to purchase the same amount of goods and services, leaving you with less savings. The importance of inflation is so large that it is usually not contained within national borders, but has broader effects on the exchange rate. Remember that, as already discussed in an earlier post, exchange rates are affected by factors which move supply and demand for the specific currency. Where does inflation fit into this picture then? As already said, inflation makes the prices of goods in a country rise in value. This suggests that they are currently more expensive than they used to be. Now suppose that a person in Germany wanted to import a good from the US, with the EURUSD exchange rate standing at 1.20. This means that a good valued at USD96 would be worth EUR80. Suppose now that the US faces 10% inflation, forcing the price of the said good to rise to USD105.6, making it more expensive for the Europeans at the current exchange rate. Now this means that, most likely, the German will not import the good from the US, hence reducing demand for US goods. Remember that lower demand for US goods means that Europeans are less willing to exchange their Euros for Dollars in order to obtain them. Lower demand for the currency means that the exchange rate will most likely depreciate. Similar to the trade balance, the extent of a change in inflation on the currency market depends on both countries. 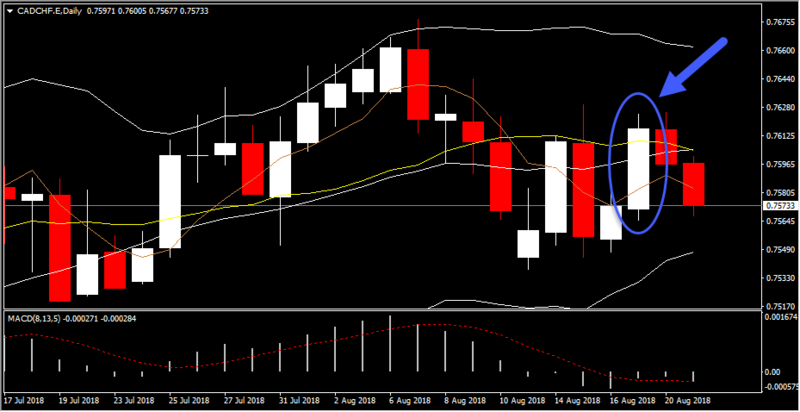 If inflation in Europe is 2% with inflation in Japan also standing at 2%, then the EURJPY pair is not expected to move on the basis of actual inflation. This is because prices in both countries will increase by the same amount, essentially cancelling each other’s increase. This is what is usually referred to as the inflation differential and can be very useful in explaining currency moves. Let’s see an example: on August 3, 2018 the Swiss CPI inflation numbers came out, suggesting that inflation stood at 1.2%, the same as the consensus forecast. Hence, there was no change in the investors’ perceptions about the demand for Swiss Francs. On August 10, 2018 the US CPI came out, showing that inflation stood at 2.9% instead of the consensus forecast of 3.0%. This suggests that, in July, US goods and services were actually less expensive than what had been previously predicted. Hence, the difference between actual and predicted inflation suggested that more demand for US currency existed. This, as the 30-minute chart points out, led to an appreciation of the Dollar, something which actually persisted through the day. Despite what theory postulates, this reaction does not always hold. 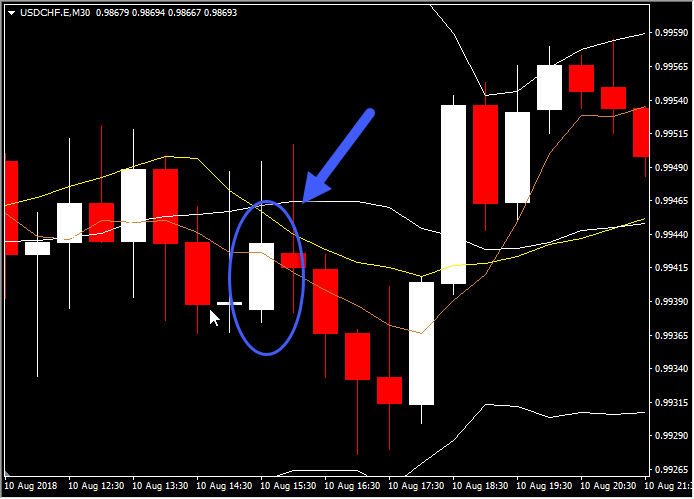 Take, for example, the recent path of the CADCHF. On August 17, 2018 the Canadian CPI came out standing at 3.0% versus a forecast of 2.5%. According to theory, the Loonie should have depreciated. However, the CAD actually appreciated on the announcement and also managed to maintain the appreciation at the day’s closing. 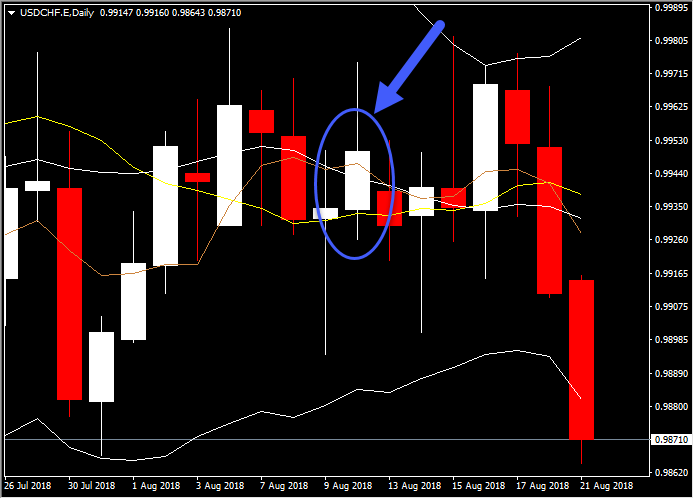 This behaviour clearly illustrates the fact that many other factors are at hand and understanding where a currency pair will move means that one needs to take them all in consideration. For this particular pair and day another announcement caused a positive impact on the Loonie, namely Foreign Portfolio Investment (FPI) in Canadian securities. As you can see from the results below, FPI was more than double of what was expected, sending positive messages about the Canadian economy. Overall, the FPI suggests foreigners’ willingness to invest in the securities of a country, thus increasing demand for its currency, given that have to exchange their currency with Loonies in order to purchase securities. As such, while inflation differentials may be important, there could also be other news coming out on the same day which could have the opposite effect on a currency. Another important point is that higher inflation tends to also be in a feedback loop with exchange rates. In other words, higher inflation could cause an exchange rate depreciation, potentially leading to higher import prices (especially if we refer to energy imports) which could also lead to even higher inflation, even more depreciation in the exchange rate and so on. However, this is a relatively rare situation and should not be often observed, given that periods with high inflation are usually met with increases in domestic interest rates. More on how interest rates affect currency markets soon. Stay tuned!